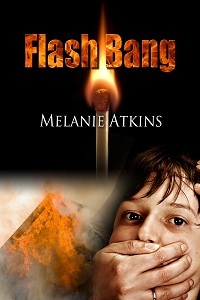 Melanie Atkins has two new releases! Mystery Romance writer Melanie Atkins ended 2012 with two great books and invites you to share the experience! 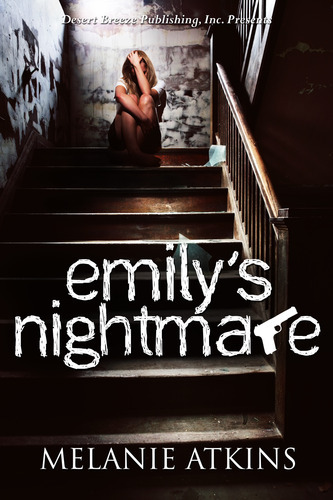 Olivia Bartlett is stunned to find her old friend, Deputy Tucker Hawkins, living in the house she has inherited, but she’s even more shocked to glimpse her cruel stepfather lurking in the shadows. Has Walter come back to haunt her, or is he really alive — and trying to kill her? To survive, she must turn to Tucker, who not only stakes his claim to the old house, but also to her heart. she ran into his life. 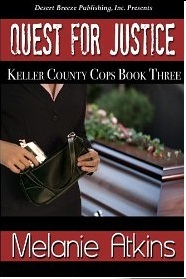 Detective Tripp Broussard longs to show his bad cop, ex-con father that he’s a good cop, but time is running out. His father is dying. So Tripp risks his own life to go after a gruesome serial murderer — anything to prove he’s a better man than his dad. Angel Saint-Martin, a blood spatter expert on loan to the department, needs her father to accept her choice of a non-traditional career, and cracking this case will show him she can handle herself in a man’s world. Driven by a common bond, Tripp and Angel band together to solve the case and put the notorious Vincent Delgado back behind bars… and along the way, they fall in love.